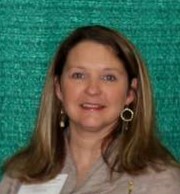 The Alabama Peanut Producers Association welcomes Kaye Lynn Hataway as program coordinator of promotions and communications. Hataway will be responsible for a variety of APPA’s promotions, communication and educational programs. Hataway most recently worked as a 4-H extension agent in Appling County, Georgia. She has a bachelor’s degree in agriculture education from Auburn University and a master’s degree in education from University of New England. Hataway is a native of Wetumpka, Alabama. She is married to Eric, and they have three children, Macy, Baker, and Tate. This entry was posted in Alabama News. Bookmark the permalink.